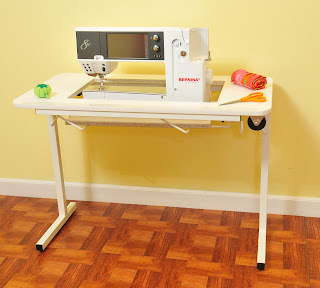 Arrow Sewing Cabinets: Earn Your Gidget II! If you haven't been lucky enough to earn one of the many Gidget II's that we've given away on our Facebook page, we thought we would give you a chance to earn one for free, yes for FREE! Our goal at Arrow & Kangaroo Cabinets is to be the "King of the Cabinet World" (think of the scene from Titanic with Jack and Ruby at the helm of the ship); to be king we need your local sewing/quilting stores to sell our products. What motivates stores owners to sell products are customers coming in their door saying "do you carry Arrow & Kangaroo Cabinets?". We want you to go to your favorite sewing/quilting store and ask them to carry our product. Dealers who call us for materials and mention your name will earn you a free Arrow bag. 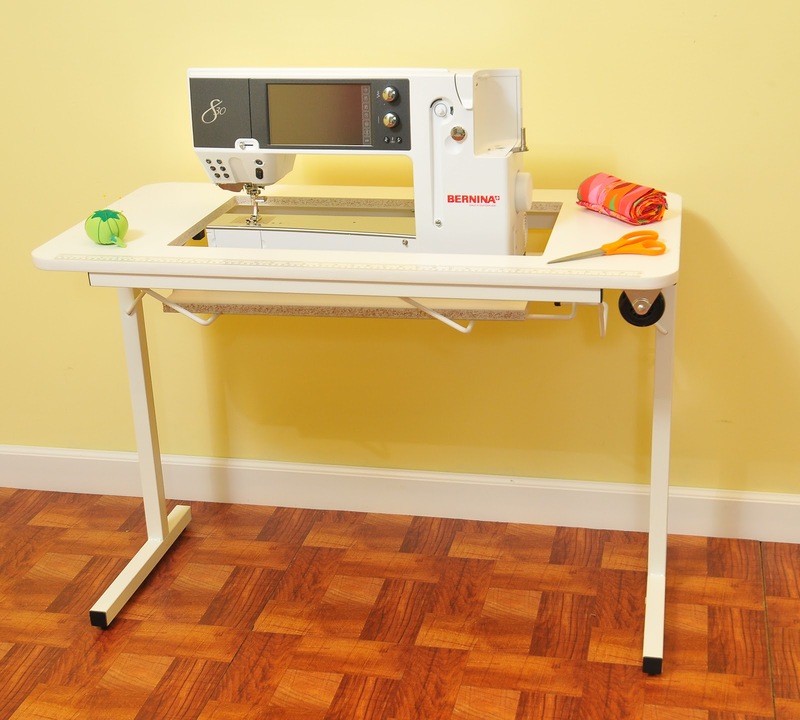 Once a store buys 5 units we will send you a Gidget II table for free! You will earn 1 point per cabinet ordered. Arrow will keep track of the orders and once the store hits 5 cabinets Arrow will notify you. 1. We are looking for NEW dealers, not existing dealers. If they have purchased from us before they do not count. Visit the "Where To Buy" section on our website, www.arrowcabinets.com, and review our list of current dealers. Dealers that are not listed on our site are eligible for a visit . 2. The dealer must be within a 50-mile radius of your residence. 3. To ensure the dealer tells us you are the reason they are calling, please download and fill out this form, Earn A Gidget II, and present it to the dealer when you go in. Arrow will not be held responsible for dealers who do not mention your visit. 4. Write your full name on the form, so we can identify you through our Facebook page. 5. Make sure you have filled out the "Contest Sign Up" form on our Facebook page. The sign up form provides us with your address. 6. The Earn a Gidget II program will run until April 1st, 2012. 8. Arrow will keep track of dealers who call and order cabinets. You will earn one point per cabinet ordered over the course of the year. Once 5 points are earned Arrow will ship a Gidget II table to you. Please do not call the dealer to inquire about the quantity of units they have ordered from us. We know that you're excited, but please keep in mind that we want our dealers to be excited too! Any customer that we receive complaints about will be disqualified from the program. 9. There is a limit of 1 Gidget II earned per household. 10. The following areas are included in the program - the contiguous 48 states, the Canadian provinces of British Columbia, Alberta, Saskatchewan, Manitoba, Ontario, Quebec, New Brunswick, and Nova Scotia. Due to shipping costs, all other areas are not eligible. 11. Arrow has the right to change or update the rules as needed. Changes will be posted to our Facebook page & blog. If you have any questions about the program, please do not post them here or on our Facebook page. Email Hether at hether@arrowcabinets.com. Please give her a few days to respond, she is travelling this week and will not be back in the office until Friday, 3/2/12. Now go out there and earn a Gidget II! That is a great program you have going. I just won a cabinet, so I won't be greedy, but I can still promote your business in the area and if I did win I would give the Gidget II, to someone that has been involved in the tornado's. Bless everyone and have fun! "I ♥ Arrow" Sign Contest Results! Our Wonderful Fabric Valentine Card Entries! "Do You ♥ Arrow?" Valentine Contest! Hey, Hey,It's Our Friday Giveaway!! It's Our First Friday In February Winner!